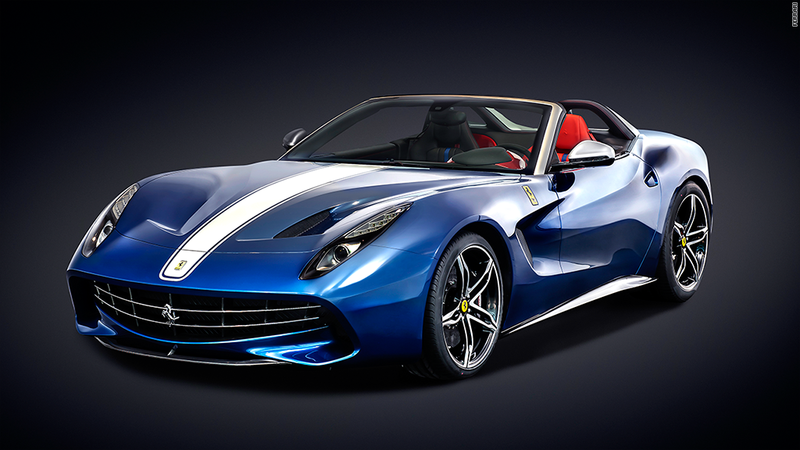 To celebrate 60 years of selling exotic sports cars in America, Ferrari has unveiled a special car for the United States. Ferrari's American customers have always been especially fond of convertibles with big engines, so this car has a V12 and an open top. It is essentially an open-air version of the $320,000 Ferrari F12 Berlinetta but with some major changes. The nose and doors, for instance, have been completely redesigned. The F60, with those seemingly small changes, will cost a whopping $3.2 million. For Ferrari lovers, the price is no object. Eight Americans and two Canadians have already bought all 10 F60s being built.